Enjoy a Sea-esta at this breezy and welcoming beach retreat in beautiful Perdido Key, Florida! 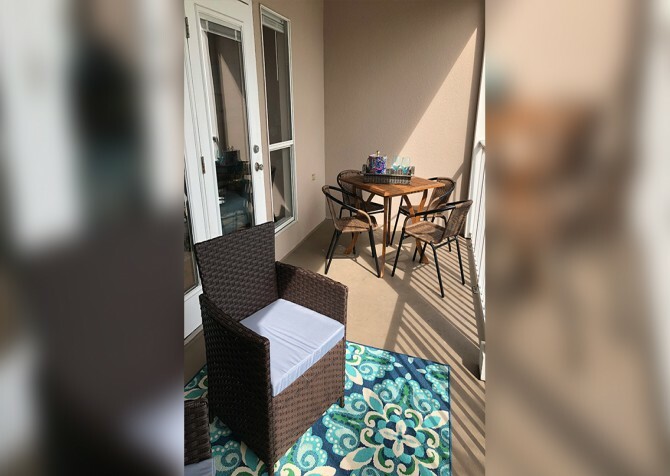 A newly furnished (2014) 2nd-floor unit, Sea-esta makes beach days simple. 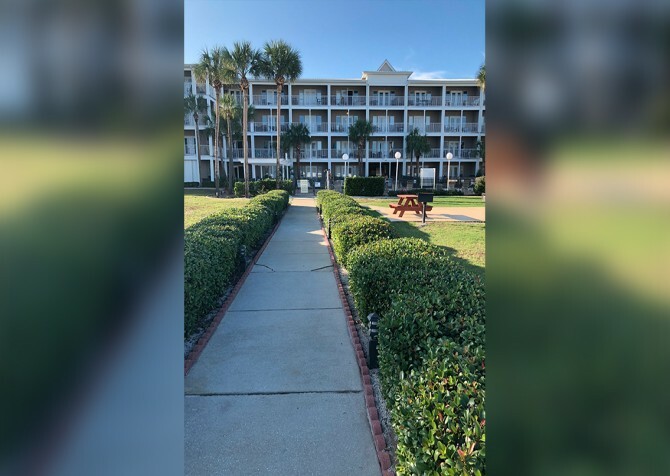 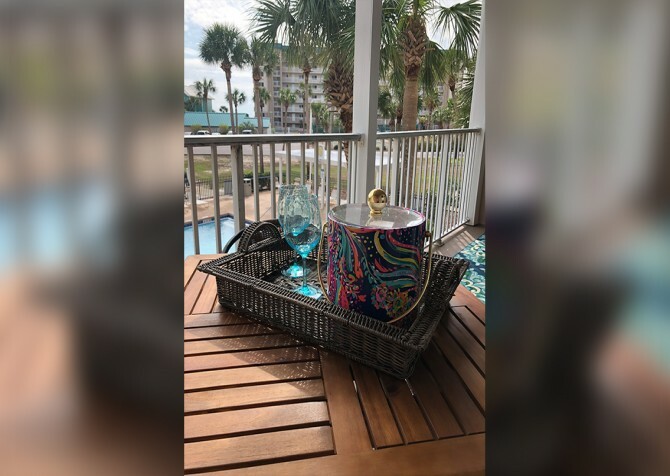 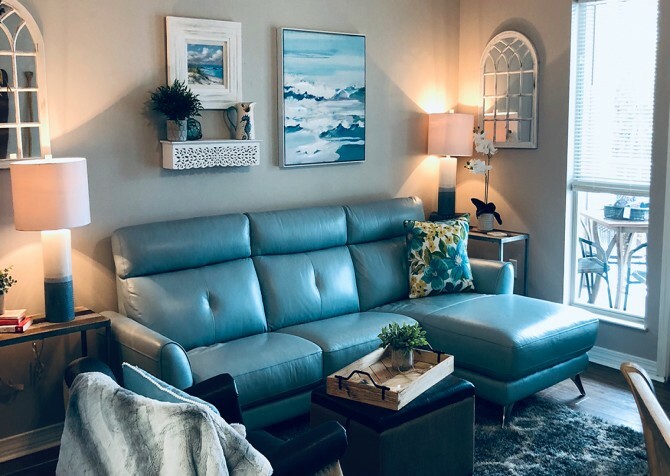 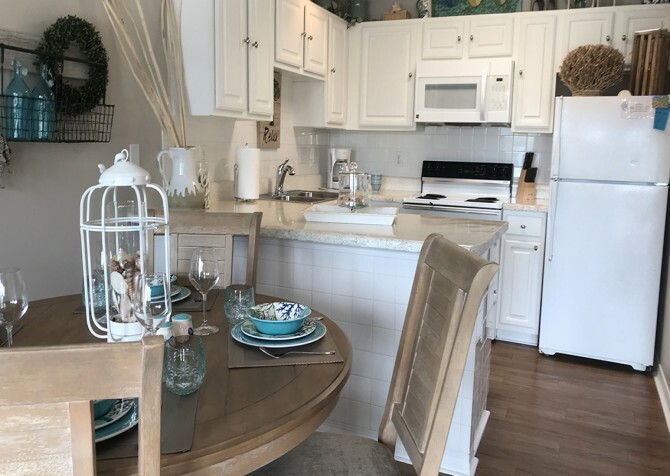 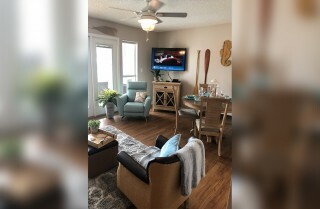 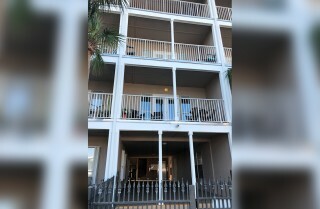 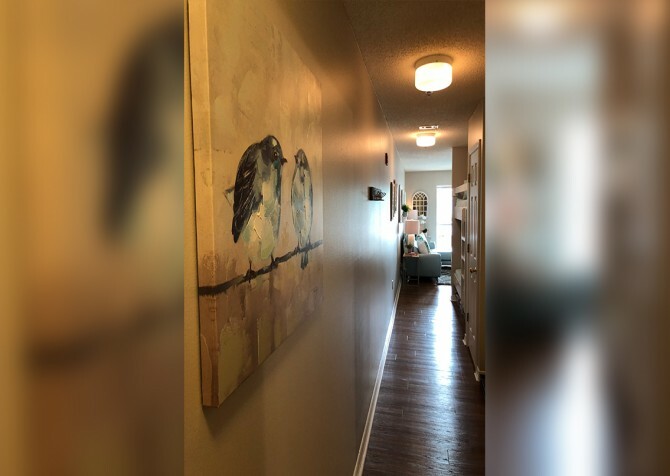 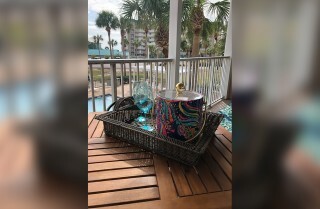 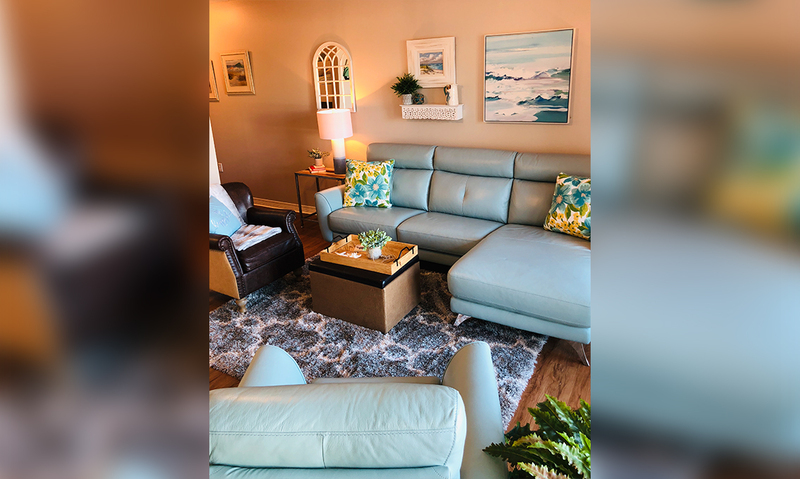 Sit back with a drink on your private balcony and enjoy pool and hot tub views, head to the beach via the boardwalk (no roads to cross) for easy beach access, and cool off in the condo with homey touches and a tropical feel. Plus, take advantage of conveniences like a well-stocked kitchen, BBQ and picnic areas in the East Grand Caribbean Resort, upgraded mattresses, and a big screen smart TV and DVD player! When you’re ready for a break from the sun, this beachy condo will be waiting! 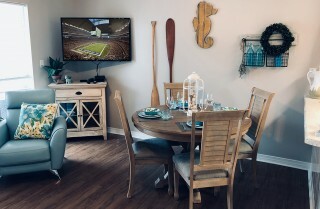 Start your beach day with a fresh cup of coffee brewed in the well-equipped kitchen in Sea-esta. 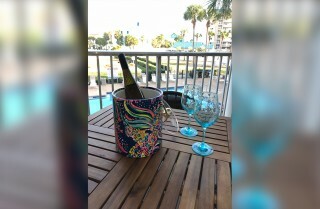 It’s fitted with the essentials for fresh fish dinners, shrimp cocktail appetizers, tropical drinks, and easy lunches and dinners. You’ll find a blender, coffeemaker, toaster, microwave, plenty of glassware and dishes, a full-size refrigerator, toaster/oven, and a dishwasher to clean it all up! 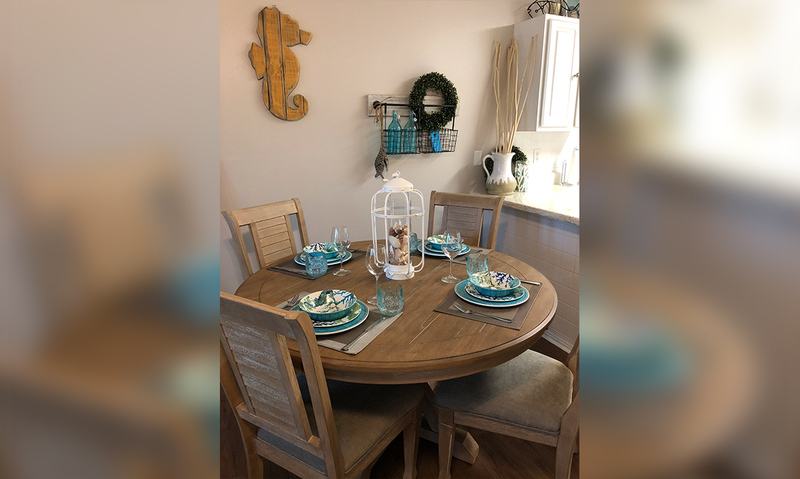 When mealtime comes or snack cravings hit, sit down at the dining table for 4 and enjoy some time together. 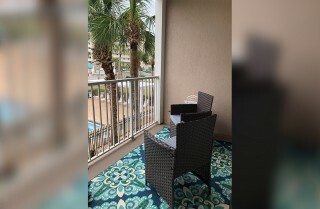 Love being at the beach but don’t love sitting in the sand? Welcome to your little oasis! Step through the French doors in the living room to your own balcony overlooking the pool, hot tub, and beach path. 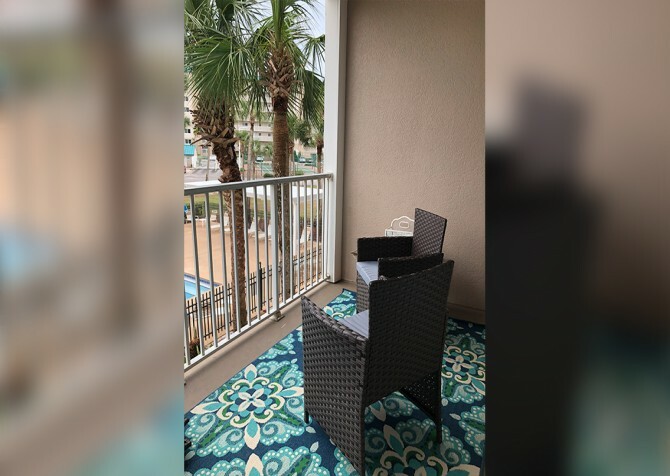 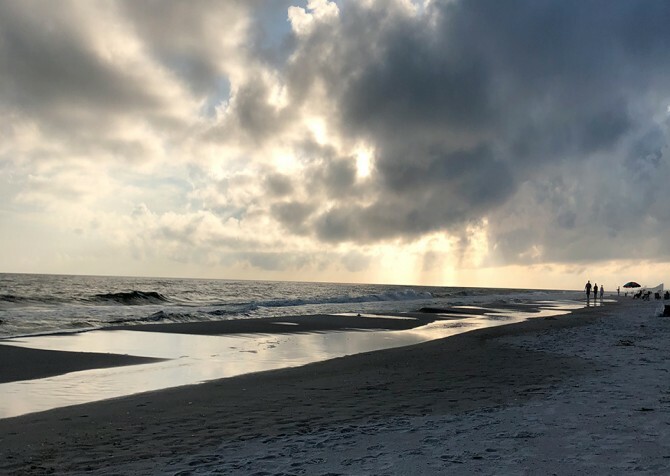 Bring along a book (or grab one of ours) and a cold drink or your morning coffee and spend some time enjoying Gulf breezes and the sights and sounds of the beach. Beach days are easy at Sea-esta! 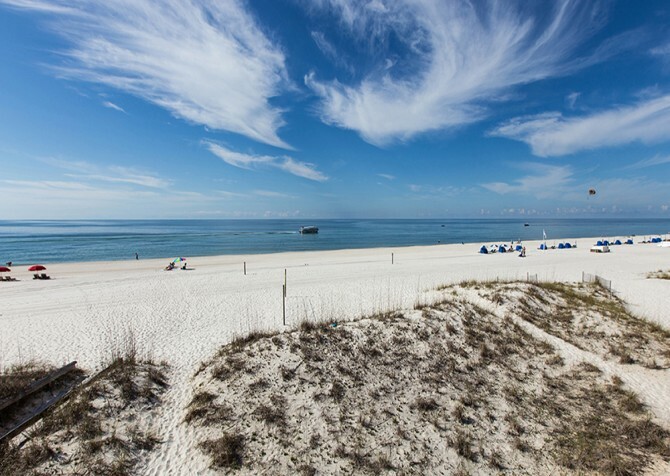 Forget crossing major roads or packing up your beach toys and bags for a big hike. 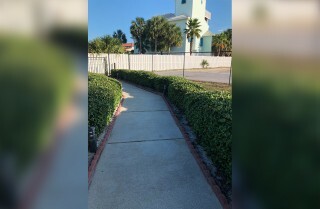 Just take a short walk – less than 50 yards – across the boardwalk to the sandy beaches of Perdido Key! 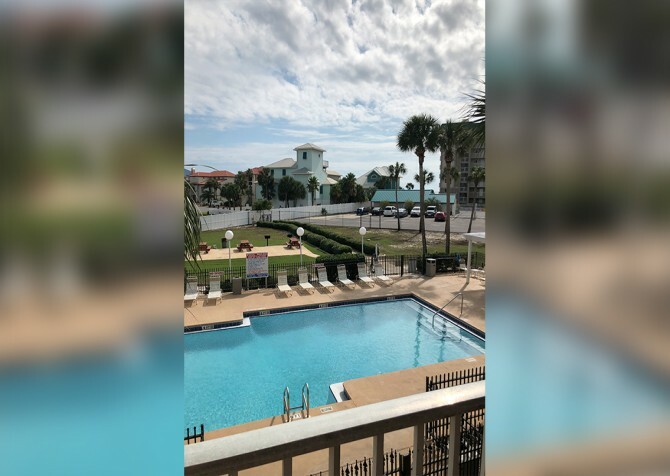 You’ll be splashing in the waves and digging your toes in the sand in no time. 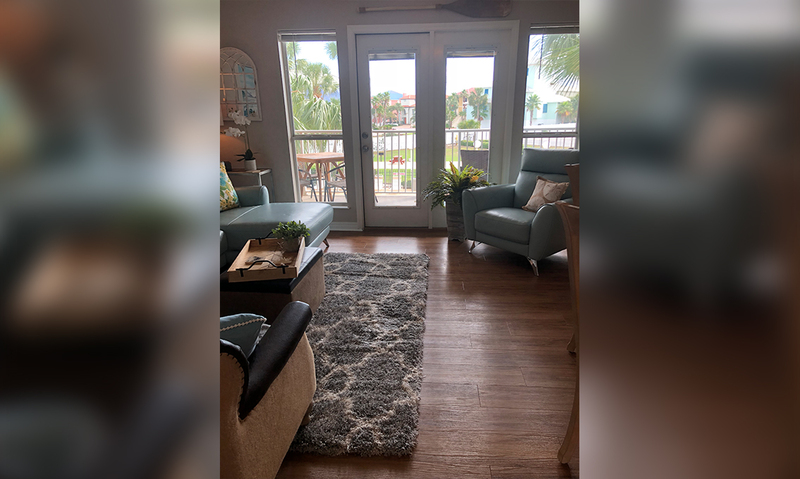 Back inside, the comfortable and cool living room is just the place to unwind after splashing in the water, soaking up the sun, and building sandcastles all day. 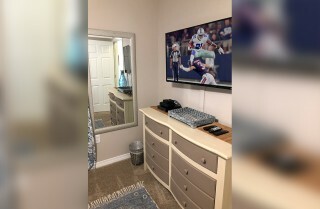 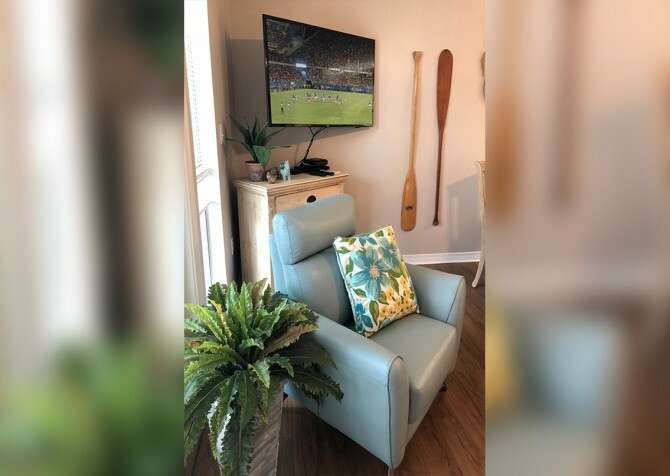 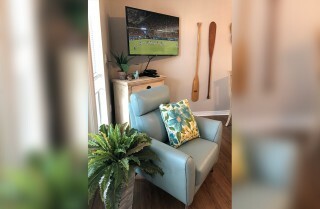 Plant yourself in front of the big screen smart TV and pop a movie in the DVD player while you hang out or surf the web via the Wi-Fi in the condo. There is even an upgraded queen-size gel mattress on the sleeper sofa here, so kiddos or additional guests will have cozy nights. 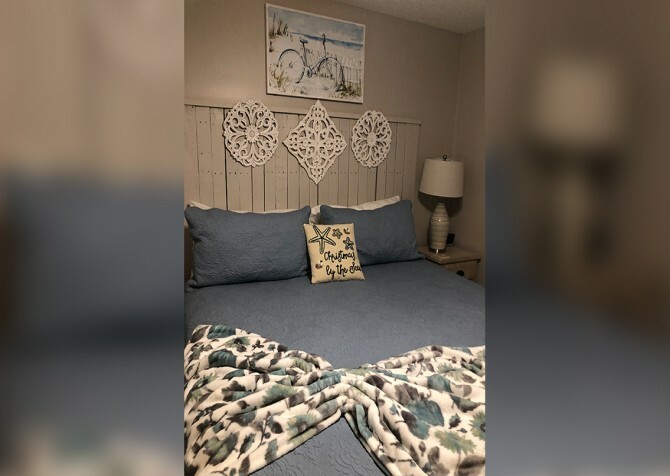 The master suite is a retreat after a long beach day. After sun, sand, and sea, climb into the pillowtop king-size bed in your own cozy bedroom. The breezy beach theme continues here, giving you a truly soothing space to call it a night. 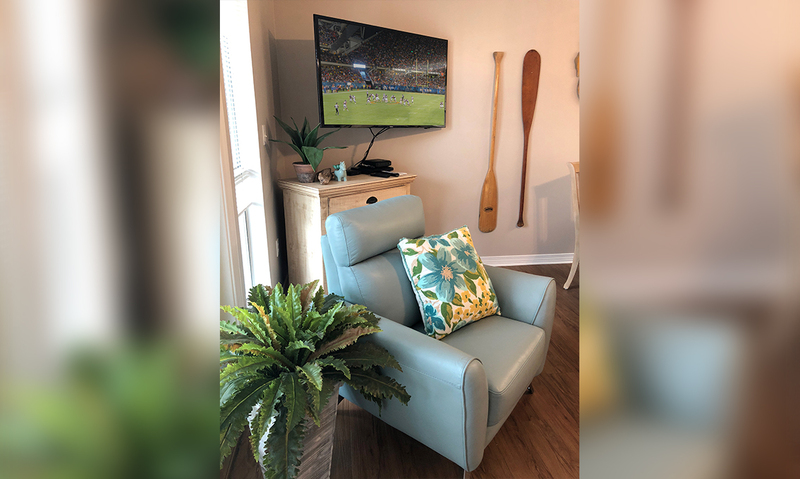 Unpack in the dresser, flip on the TV, and dream of more sunny days to come. 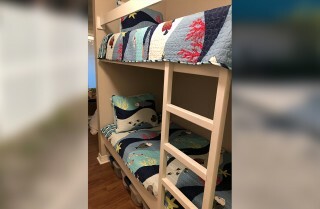 And the kids will love the built-in bunks in the hallway! 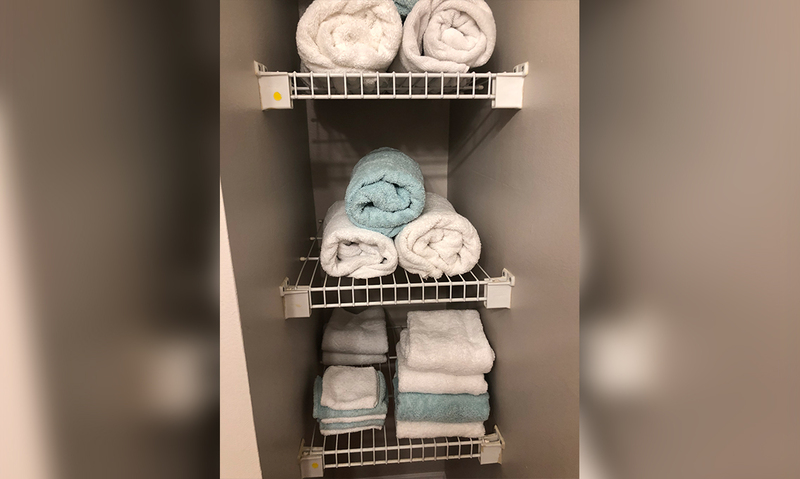 We provide all the linens and towels at Sea-esta, so you can keep your suitcases light. 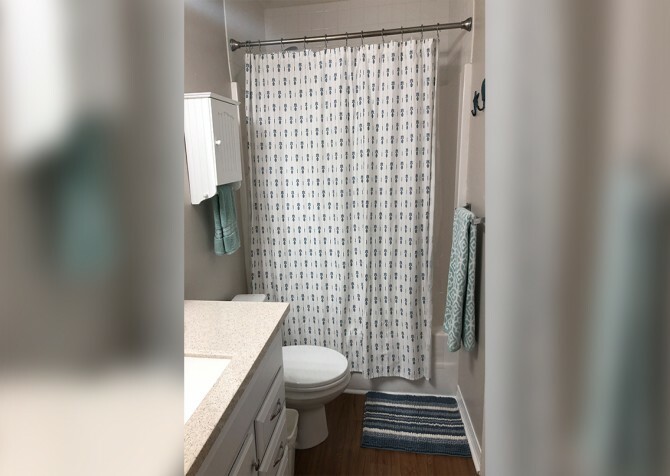 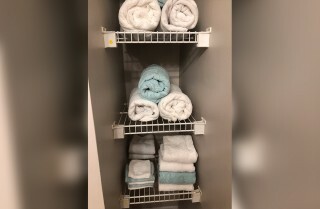 And when you need to wash swimsuits or towels – or get clothes freshened up for a nice seafood dinner in town – the in-unit washer/dryer will be very convenient. Arrivals are easy with a gated parking area, and BBQ areas in the East Grand Caribbean Resort allow you to toss fresh-caught fish on the grill or make some quick burgers for a night at the condo. 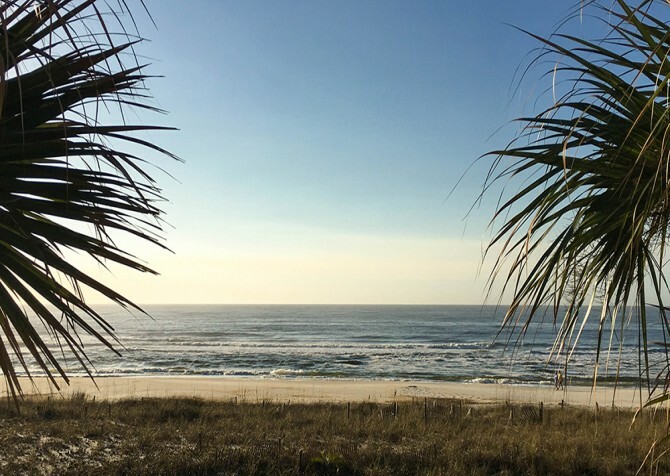 Plus, when you need a break from the beach, you can take a dip in the heated (seasonally) community pool, cast a line at the freshwater pond, or explore Perdido Key favorites like the National Naval Aviation Museum at Pensacola Naval Air Station (home of the Blue Angels) and Gulf Islands National Seashores. Community pool access is provided and managed through a 3rd-party company. 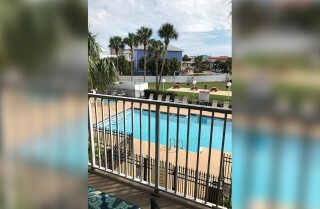 Cabins for YOU is not responsible for maintenance or pool closures. 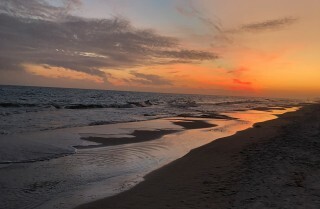 "Great place. 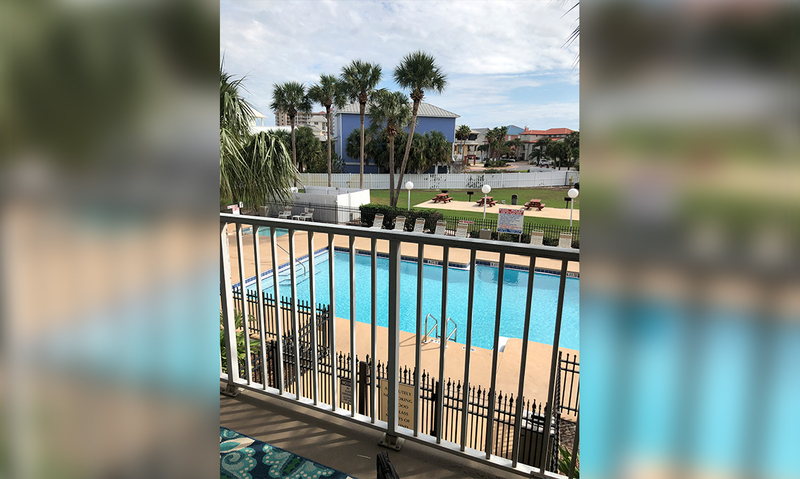 Very close to some really good restaurants and the beach."